BMW of Bridgeport hand picks new BMW’s from our new car inventory for our clients to enjoy driving while their BMW is visiting BMW of Bridgeport. Pampered by our clients, these cars are gently driven for a short period of time and always available for sale. BMW loaners offer an excellent opportunity for our clients to drive a new BMW at a reduced price and receive new car rates and special discounts. 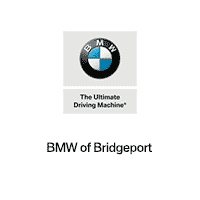 Why buy a BMW loaner from BMW of Bridgeport?